Interested in full fledge triathlon coaching? 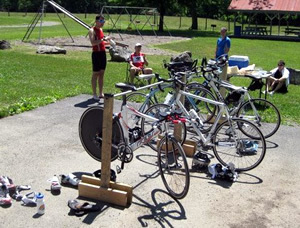 One-on-One Endurance offers some degree of price reductions for local triathletes in the Blacksburg area! Check out all the details of the service provide and see prices on the “Services” page of the website. Contact Jim to find out the specifics and let’s take your triathlon performance to the next level!